The founder and president of Sounds True, an audio/ video/music publisher dedicated to disseminating spiritual wisdom, North America's leading publisher of spoken-word spiritual teachings. What is love"justify" class="body-justified">Note: This art gallery is only available at IntegralLife.com. If you haven't already done so, please transfer your account to Integral Life in order to watch. It is quick, easy, and best of all, FREE! Click here to transfer your account. Integral Profiles: Rollie Stanich. Part 1: Who Do You Say That I Am? Note: This video is only available at IntegralLife.com. If you haven't already done so, please transfer your account to Integral Life in order to watch. It is quick, easy, and best of all, FREE! Click here to transfer your account. Eleanor Roosevelt once said that "poor minds discuss people, average minds discuss events, and great minds discuss ideas"—integral minds, we might add, discuss all three. In the Integral Profiles series, host Jeff Salzman sits down with some of today's most notable thinkers, teachers, and leaders, discussing the many ways they are catalyzing the Integral vision in their lives, in their hearts, and in their work. These men and women are collectively defining the leading edge of evolution in today's world, their thoughts and actions actively influencing the shape and scope of tomorrow's possibilities. Here Don offers an intimate glimpse into his own life and career. He discusses the current phase of his work: traveling the world and applying Spiral Dynamics to various geo-political "hotspots" all over the planet. He offers his own ideas about healthy models of society, the crucial distinction between stages of consciousness and the contents of those stages, and the importance of preserving many of the early stages of development that are so often seen as primitive and obsolete. He then goes into considerable depth around the specifics of the Palestine-Israel conflict, describing the needs and problems on both sides of the divide, his hands-on involvement with both nations, and the remarkable receptivity with which his work has been met. At a time when tensions in the Middle East can seem so hopelessly combustible, it is encouraging to see Integral seeds being planted in such surprisingly fertile soil, offering us all a much-needed exhale as we wait to see how evolution will continue playing itself out in this difficult region of the world. 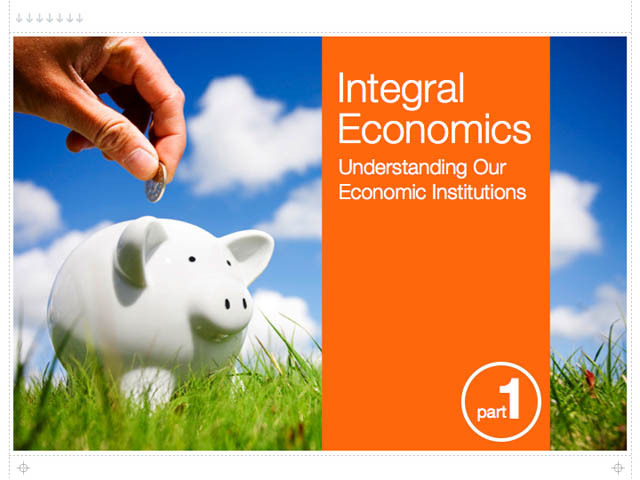 New on IntegralLife.com: In this presentation, an integral economic framework is suggested to help differentiate fundamentalist approaches to economics from decidedly more sophisticated economic policies. It is argued that economic policies are often generated in the context of friction between fundamentalist conservative and liberal tendencies. For progress on several issues of economic concern today, the program aims to raise the level of debate to include more sophisticated versions of conservative and liberal approaches. 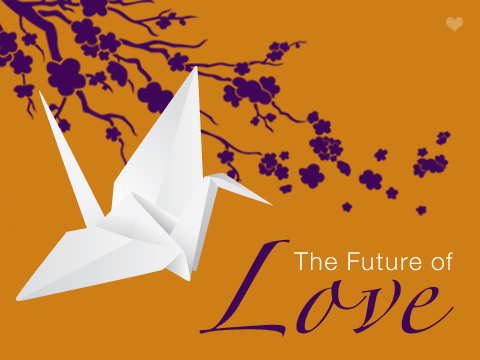 Sign Up for the Integral Life Newsletter!